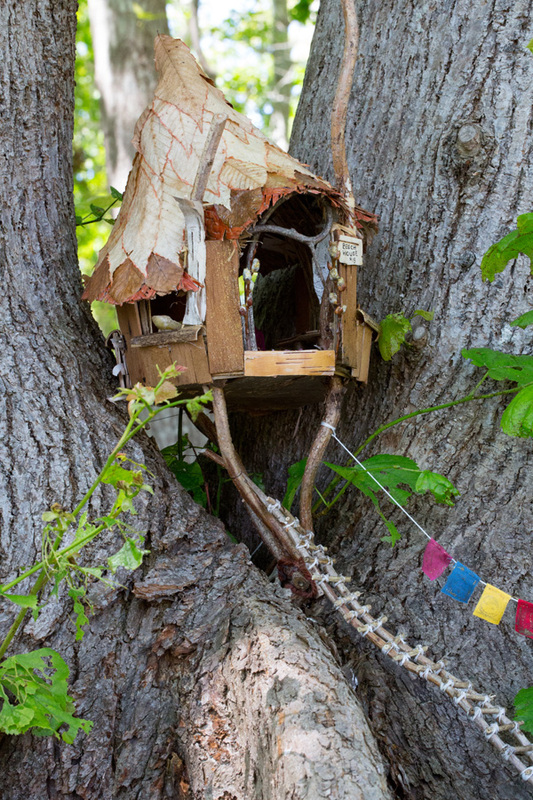 People are still flocking to see The Fairy Houses of Beebe Woods exhibit, which will be in and around the grounds of Highfield Hall until July 21st. Stop by the building to get a tour map during their open hours (M – F, 10 – 4, S – S 10 – 2) or print out your own from this pdf file. 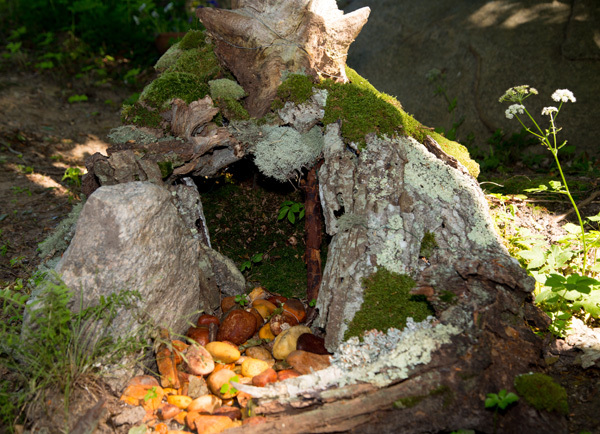 The Fairy Houses of Highfield Hall outdoor exhibit will be held from June 28th to August 31, 2015 at Highfield Hall in Falmouth, MA. 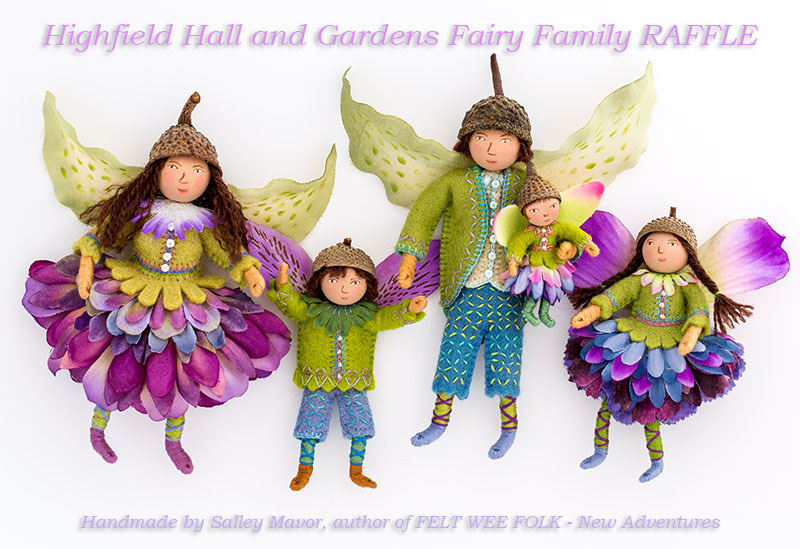 In addition to curating the exhibit, Salley Mavor has made a fairy family of 5, which is being raffled (3 tickets for $5.00). 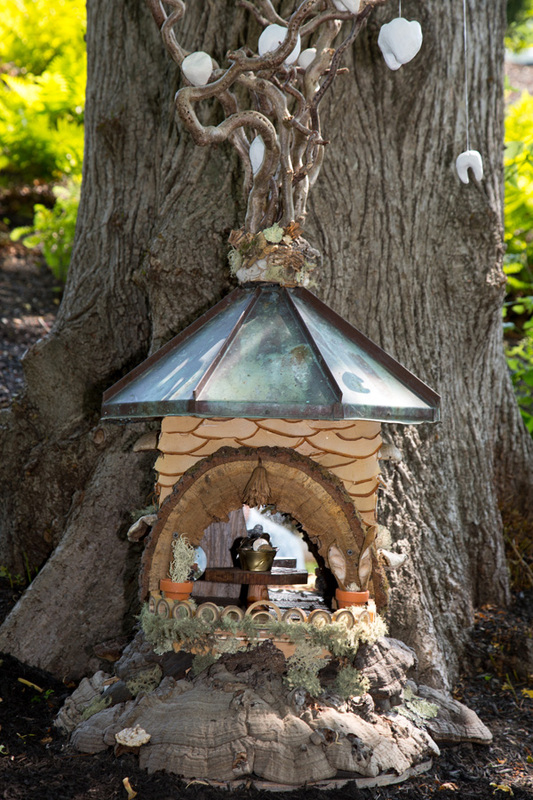 Tickets may be purchased online or at Highfield Hall, where the fairy family is on display. The raffle drawing will be August 30, 2015. The prize will be sent to the winner anywhere in the world! Good luck! 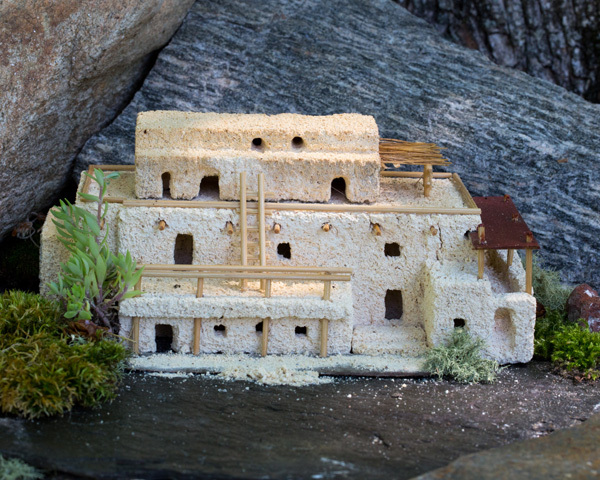 My husband, Rob took these “house portraits” of the dwellings in the morning or evening light, depending on their orientation. 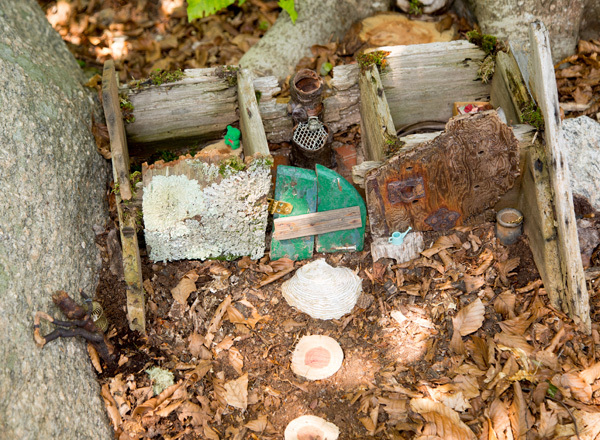 As you can see, each artist has interpreted the Fairy House theme in a vastly different way. 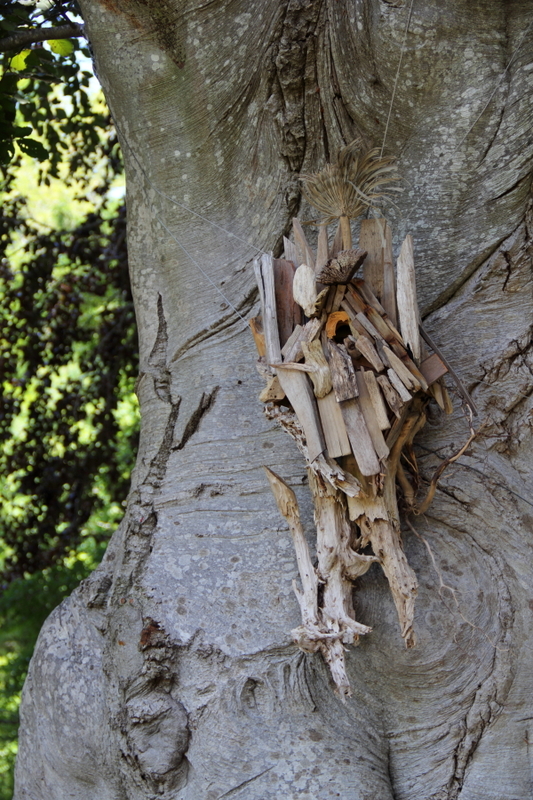 More photographs of other houses can be seen on posts #1 and #2. 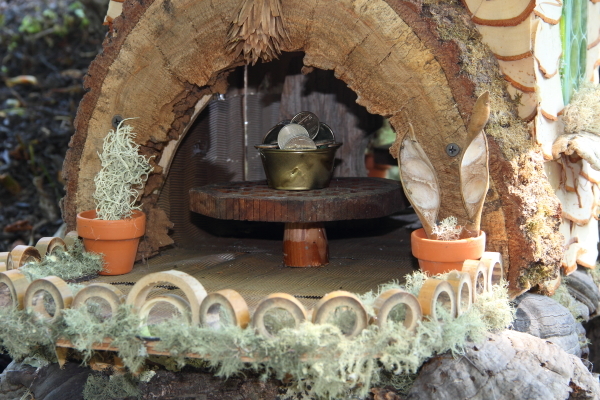 This entry was posted in Exhibits, Fairies, Fairy Houses, Found Objects, Garden, Nature, Photography, Sculpture by Salley Mavor. Bookmark the permalink. 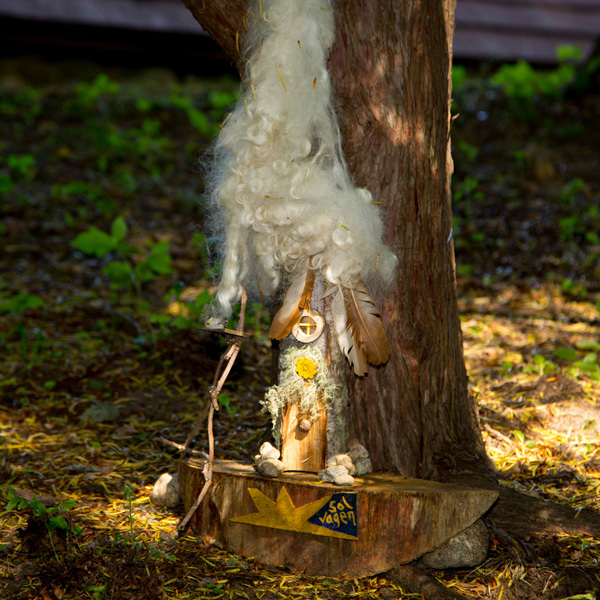 This has been such a delightful – and highly inspiring – series of blogs; thank you so much, Salley; and Rob, for the perfectly-lit photographs. 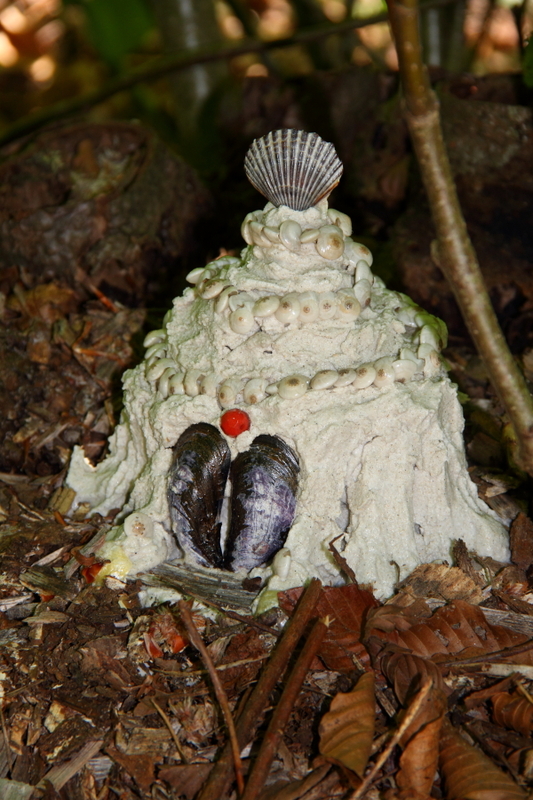 The naming of fairy-houses is another talent to look out for! I am day-dreaming of an event such as this taking place in a number of venues I can think of in my own neighbourhood here on Salt Spring Island, BC, Canada. 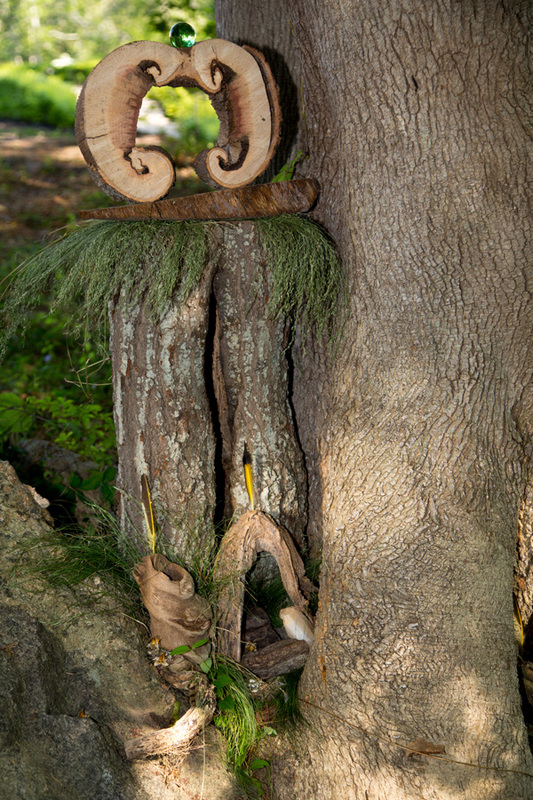 We do already have permanently installed fairy doors here there and everywhere – why not make an annual event that encourages entrants’ creativity, and draws appreciative visitors to one’s own neck of the woods. 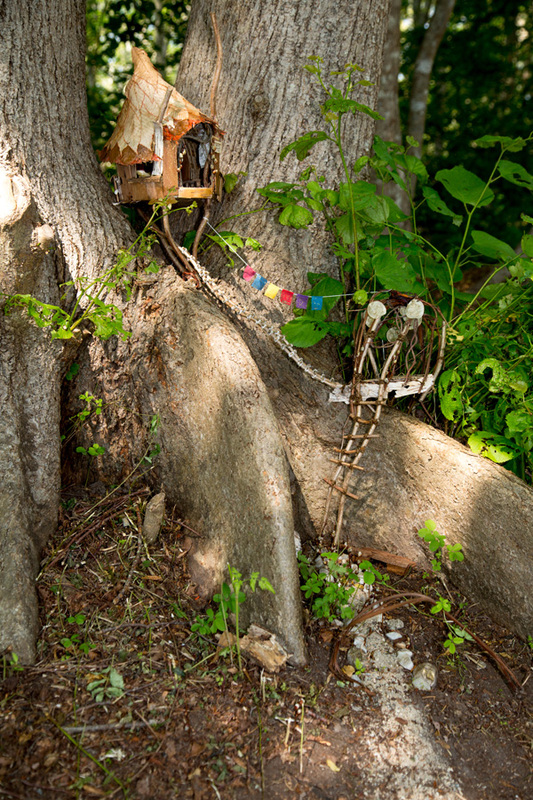 I have been wondering if your Birds of Beebe Woods was hung somewhere for this event too – that’s a masterpiece (probably not weatherproof enough to leave installed for more than one day). Your emails are always an uplift to my day. Thanks Usha, It sounds like you will be getting something going in your community. Start planning for next summer now! 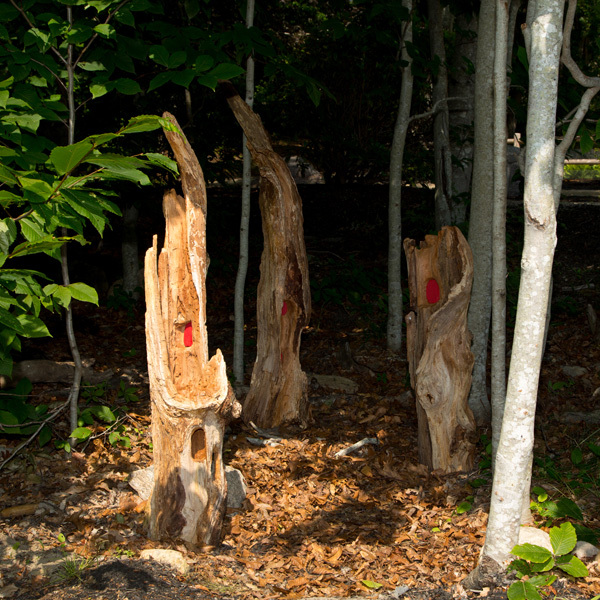 As for the Birds of Beebe Woods piece, it’s in Colorado at the moment: July 9 – August 31, 2013. 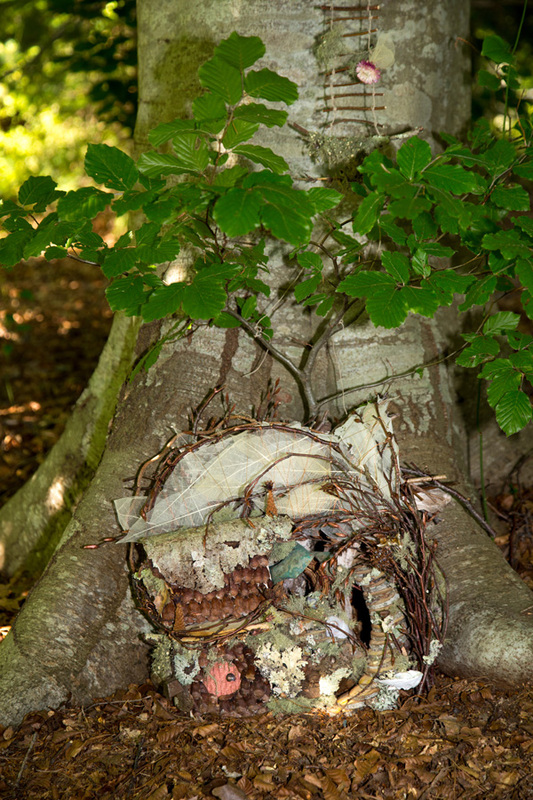 Birds of Beebe Woods will be included in New Legacies: Contemporary Art Quilt Exhibition at the Lincoln Center Art Gallery, Fort Collins, CO. Thank you for such awe inspiring works of fantasy! Just wish I lived on the east coast to be able to see these creations up close and personal.